Tobacco-related illnesses will cause the deaths of one billion people in the next century if trends continue, the Tobacco Atlas has revealed. THE NUMBER OF tobacco-related deaths have tripled in the past decade to almost 50 million people worldwide, according to the latest report from the Tobacco Atlas. The report by the health campaign group the World Lung Foundation details how one person dies every six seconds from tobacco use or exposure – and warns that, if current trends continue, one billion people will die this century. Tobacco is now the number one killer in China, where it currently causes 1.2 million deaths each year. That figure is expected to almost triple by 2030. Tobacco-related illness remain the biggest killer of women in the United States (23 per cent). In Ireland, 22.1 per cent of male deaths and 21.6 per cent of female deaths are due to tobacco. One of the report’s authors and director of the Institute of Public Health at Georgia State University, Michael Eriksen, said that smoking rates in the developed world declining but numbers growing in poorer regions. 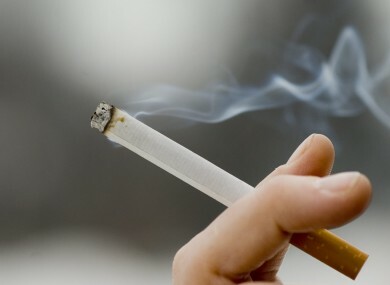 The report warns that the tobacco industry is stepping up its fight against anti-tobacco policies – for example, by launching legal challenges in an attempt stop the introduction of plain packaging, legislation banning smoking in public places, and advertising bans and health warnings on packets. According to the report, the six biggest tobacco firms in the world made $35.1 billion in profits last year – a sum equal to the combined earnings of Coca-Cola, Microsoft and McDonald’s. The World Health Organisation says tobacco is linked to cancer, heart disease, diabetes and chronic respiratory diseases, accounting for more than 63 per cent of deaths worldwide. Email “Tobacco has killed 50 million people in the past decade - report”. Feedback on “Tobacco has killed 50 million people in the past decade - report”.